Taj personifies tradition and warmth. With hotels ranging across iconic locations, living palaces, exotic resorts and scenic safaris, Taj delivers unmatched experiences and lasting memories for guests around the world. 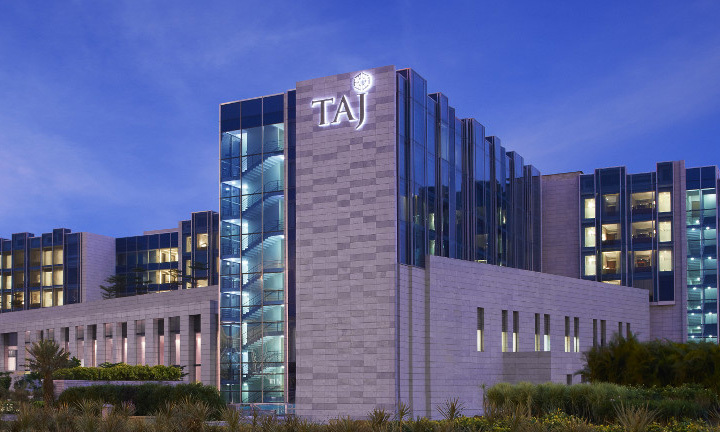 With a service culture that has been nourished over 115 years and practised across 50 global destinations, Taj is all about the heart behind the process. ● The card is valid for 365 days from the date of its issuance, unless specified otherwise. ● The Taj Experiences e-Gift cards is issued by The Indian Hotels Company Limited, hereinafter referred to as Taj / the company. ● The E-Gift Card can be purchased for a Minimum value of Rs.500 and Maximum value of Rs. 200,000 per transaction. ● The card is valid for spends towards rooms, food and beverages, spa services and applicable taxes without restrictions, except for retail spends at third-party outlets at Taj hotels, business centre equipment hire, hired services from third party sources, or any expenses of a personal nature for which a pay-out is raised such as buying medicines, repairs of personal items, etc. ● The cards can be redeemed at Taj, Vivanta or Gateway hotels in India for all valid spends at that hotel and at Taj Reservations Worldwide for prepaid room reservations. This does not include Ginger Hotels. ● Cards can be reloaded on www.tajhotels.com/giftcards. ● Cards would be automatically revalidated for 365 days from the date of load or reload. Revalidation requests would not be processed outside these terms. ● Multiple transactions can be performed on the cards until the value of the card is exhausted. ● Should your purchase value exceed the card value, the differential amount of such purchase should be paid at the point of sale either in cash or through an accepted credit or debit card, at the time of making such purchase. ● A valid card in its original form or e-mail must be presented at the time of availing a service. 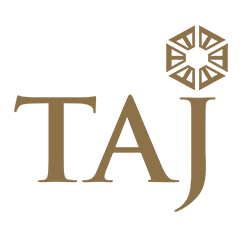 ● For prepaid room reservations at Taj Reservations Worldwide the card number and PIN must be quoted when making the reservation. The entire amount must be paid via the card to secure the reservation. ● In case the card balance is less than the due amount, the card may be reloaded on www.tajhotels.com/giftcards before processing the reservation. ● Standard cancellation policies would apply. ● Please contact Taj Reservations Worldwide to process any eligible refunds from cancellations on your Gift Card. ● The card shall not be valid for use at any other service establishment or for withdrawal of cash. ● Once a card is issued, the company will not entertain any request for cancellation. ● Redemption of the card by its bearer shall be valid discharge of the company's liabilities in respect of the card. ● Any dispute needs to be referred to Taj and the decision of the company shall be final. ● The card is subject to applicable laws. Taj and the card holder shall comply with all applicable laws promulgated by any statutory/judicial/competent authority from time to time in this regard. ● Any dispute relating to the card shall be subject to the exclusive jurisdiction of courts at Mumbai. ● Taj reserves the entitlement to amend these terms and conditions from time to time. Any change in these terms and conditions can be viewed on our website. ● For any other queries, please call Taj Reservations Worldwide at 1800-111-825 or +91-22-6601-1825 or e-mail reservations@tajhotels.com. ● No refund, replacement or cash back would be considered against the card.